Our panel gathered together remotely to talk about doubt and how we might walk alongside students in our schools or classrooms who are wrestling with doubts related to their faith. I opened the dialogue by inviting the panelists to share examples from their classrooms or perspectives they have gained from working with students who are dealing with doubt. 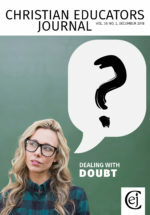 Christian: The first thing I would say and have said to students is that we’ve all experienced doubt, and while it might be scary, especially if it’s something that is a relatively new feeling, it is normal. I know that as students get older they start to question some of the stories that they’ve heard in the past, or maybe they start to encounter questions that they don’t necessarily think they have a ready answer for. It is important to let them know that that feeling, although it’s unsettling, is not bad in and of itself. It’s something that obviously needs to be dealt with, but it’s not something that they are uniquely feeling; it’s something that everybody goes through in some way or another. So the classic “you are not alone” is something that is important to say. Gayle: I think that not only is it not unexpected, but I would actually encourage them to think about it as something that is good. Just as I was preparing for this I remembered a quote by Anne Lamott. She writes, “The opposite of faith is not doubt but certainty” (256–57). And I’ve been wrestling with that. Somebody else said “certainty and control.” But just the idea that it’s not only to be expected but it’s actually good because it shows that you are thinking deeply, and if everything is certain it’s probably not faith—it’s something else. I would encourage them, actually, to be willing to step into those places where it’s a little bit challenging and disconcerting because it shows that they are taking it seriously and that they’re moving from assumptions and all sorts of other things to actual faith. Justin: I think some of the shifts that are happening in education generally are paving the way for us to do so much better on this issue of faith formation and doubt. Consider some contemporary educational buzz words: the shift from content to competencies; a shift from close questioning and single-answer responses to inquiry and open-ended questioning; a desire for authenticity in pedagogy generally. So I think this is an area where some of what’s happening among us in education is paving the way for us to have much more authentic dialogue with students, not just about learning generally but about faith formation as a thread within that. 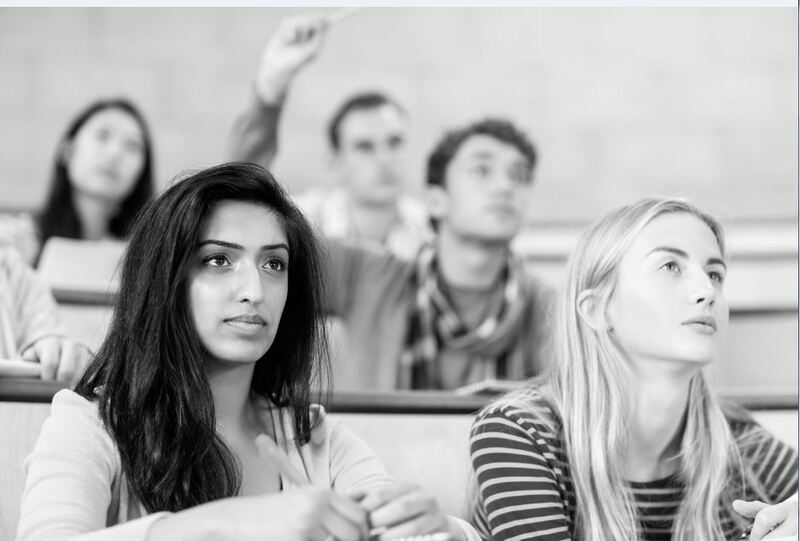 Christian: Yes, to follow up with that, I think there’s more permission in our Christian school culture to be asking these kinds of questions; whereas, in my own experience as a student in Christian education, I never felt comfortable questioning anything. I grew up in Grand Rapids, Michigan, and my dad was a pastor, and I had all of these questions and doubts, but I felt like it was an illegal place to go. It’s definitely a different experience on the other side of the desk for me now. It is a much freer climate. But having said that, there’s also a lot more danger involved because I think there are more challenges for our students as believers in our culture now. So while doubt is normal, and it shouldn’t be too frightening, we do need to get our students to a position of some kind of strength so they can deal with some of the stuff that is thrown at them. It’s hard for somebody who is doubting to fight in our culture. Gayle Monsma serves as the Executive Director for The Prairie Centre for Christian Education in Edmonton, Alberta.